Are you ready to ditch negative thinking and limiting beliefs, reduce anxiety and stress, discover your life purpose and rock the life of your dreams? Look no further! I’m here to help you achieve the health, wealth and happiness you deserve! I’ll put my 20 years of extensive training and experience to work to help you achieve what you want. My mission is to help you master the art of deliberate creation, so you can live the best life imaginable! 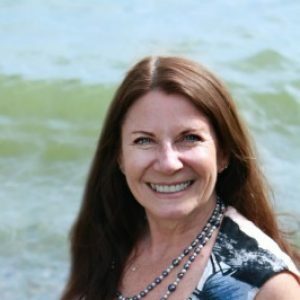 In addition to being a Soul Realignment Practitioner I am also a certified Law of Attraction Life Coach, Infinite Possibilities Trainer as well as Transformational Speaker, Reiki Master, Crystal Therapist and Yoga Instructor. I am author of Relief Beyond Belief; Exploring the World of Natural Healing and Wishful Thanking; 7 Simple Steps to Abundance, a fun and easy system to transform your life through the power of your chakras. I give you all the tools and support you need to turn the life you HAVE into a life you’ll LOVE. Give yourself the gift of Clarity! Call today and let's get started!